When one or both of the spouses is in the military, additional legal issues arise. 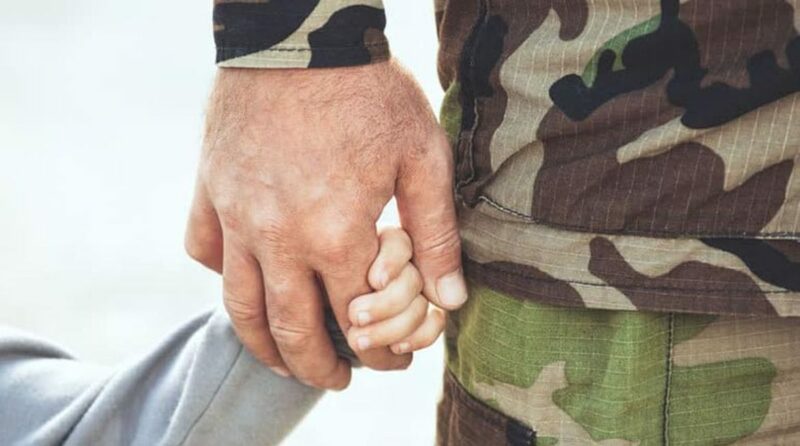 Special rules apply in a military divorce regarding where to file a military divorce, how child and spousal support is calculated, and how child custody is determined. In addition to the special rules mentioned above, military benefits must be considered, including military retirement pension and post-divorce health insurance issues. Both service member spouses and civilian spouses should take the time to learn about the special issues involved in military divorce. It is essential that military members, and their civilian spouses, hire a military divorce attorney who is knowledgeable about the special issues raised during military family law matters. Even the first step of filing for divorce with the court is different in a military divorce. In most cases, you must file a military divorce either in the state where the military member is legally domiciled or a resident or in a state that both spouses agree upon. After filing for a divorce, the next step is to deliver the divorce paperwork to the other spouse, known as “serving” the other spouse. When the other spouse is a military member that is deployed or permanently stationed overseas, special laws apply that can delay the process. This can make a military divorce take longer than a civilian divorce. Child support and spousal support issues are also effected by laws that apply to military divorces only. For example, under federal law, a military member cannot be made to pay child and spousal support that is more than 60 percent of the member’s pay and allowances. Military members who do not comply with a court order to pay child or spousal support can face harsher consequences than a civilian. The Department of Defense requires military members to comply with support, custody, and visitation orders. Punishment for failing to do so can be as serious as a separation from military service. Child custody and visitation plans can be effected by the military member’s frequent moves and the possibility of deployment. A good custody and visitation plan must account for these issues in a military divorce. For all of the above reasons, a military divorce is more complex than a civilian divorce. If you are a military service member, or civilian spouse, considering divorce, you absolutely shouldn’t negotiate your divorce or sign a settlement agreement without at least consulting a lawyer who is knowledgeable about military divorce. Monterey Divorce Attorney Breanna Cornwall represents clients in military divorce in Monterey County. She can guide you through the military divorce process in the most efficient and stress-free manner possible. If you would like to schedule an initial consultation regarding your military divorce, contact the Cornwall Family Law Office.